Forget Flat Irons. 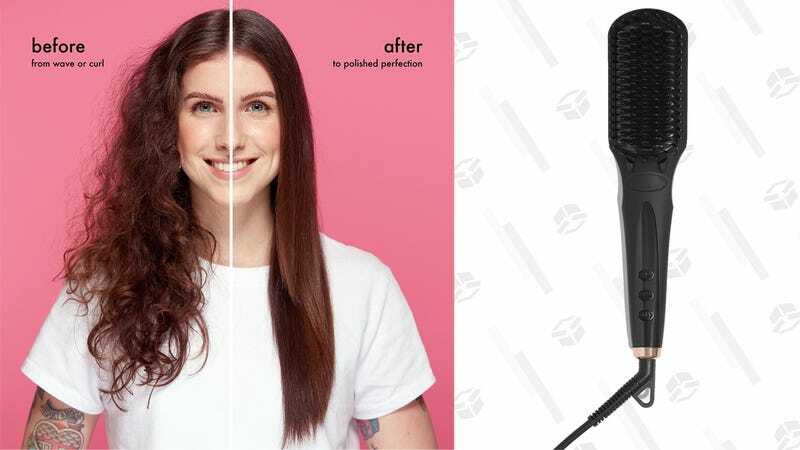 Brush Your Hair Straight With This Amika Tool For $96. Using a flat iron to achieve stick-straight strands is time-honored tradition for many wavy- and curly-haired folk. But just because you’re used to doing something one way doesn’t mean there’s no room for improvement. Enter: the Amika Polished Perfection Straightening Brush, a thermal hairbrush that detangles as it straightens, which just...makes sense. The result is a shiny, ultra sleek ’do in less time, because you’re not putting down your flat iron to pick up your hairbrush, see? And lucky for you, my silky-maned friend, the Amika Straightening brush is just $96 right now, down from it’s usual price of $120. It’s by no means an inexpensive hair tool, but it’s an investment your locks will love you for.